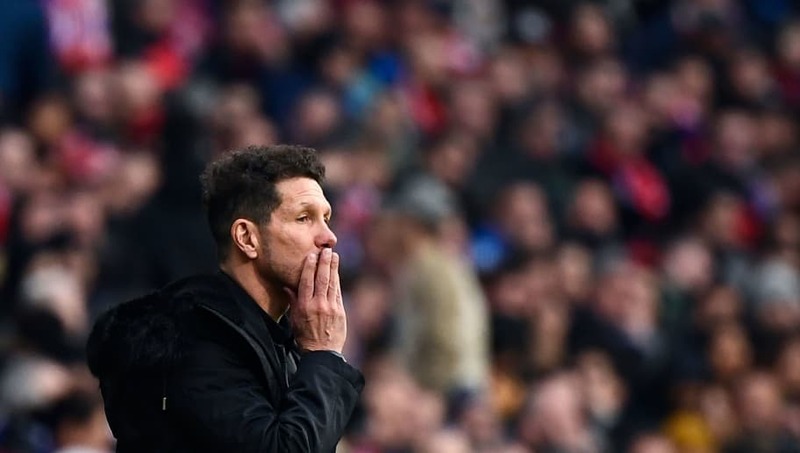 ​​Atletico Madrid manager Diego Simeone has insisted that he does not blame VAR for the team's defeat in their derby game against ​Real Madrid, revealing that he accepts that his players may feel differently about its influence on the game. Madrid ran out 3-1 winners over the city rivals and overtook in the La Liga standings, cutting their deficit to Barcelona to five points, even though the defending champions are yet to play their game. Although the club seemed to point out the inconsistencies of VAR after the game, Simeone conceded that it was not the technology that was the reason for their defeat, and the better team won on the day. "I do not usually talk about the VAR," Simeone told reporters, according to ​Goal. "It will clearly improve for the good of everyone. I absolutely do not believe that we have lost because of VAR. "The action of the penalty [that was not given for Atletico] is an important possibility," he said. "But I am not in the head of the players, it is a question for them. We are used to the decisions of the World Cup, cutting short your celebrations of a goal and not letting you enjoy it. The players are prepared for that." Atletico are now in third place in the league, and will be looking to take advantage of any points that either of the two teams ahead of them may drop.